The reward for a deadly hit and run crash in Anne Arundel County is now up to $7,000 for the person who has information that leads to an arrest and conviction. On June 25, 2016 there was a crash involving a motorcycle and an SUV on Crain Highway. It happened southbound at Capital Raceway Road in Crofton. Video from businesses have led police to search for an SUV. 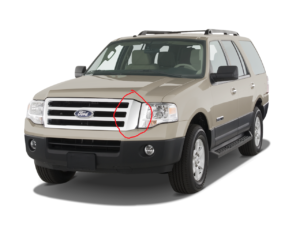 It is a two-tone, light colored Ford Expedition XLT or Eddie Bauer edition. 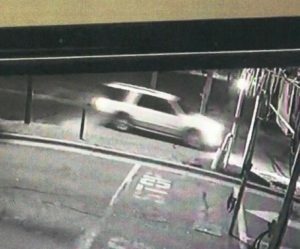 The SUV was leaving either Capital Raceway or Skate Zone around 11:30pm on June 25th. Detectives say there should be a sizable missing piece of the chrome grill from the driver’s side, as well as smaller missing pieces from the bumper. Lafawn Stevens Jr., of Halethorpe, died as a result of the crash. Anyone with information is asked to call Metro Crime Stoppers at 1-866-7-LOCKUP. Stay connected with Metro Crime Stoppers. Like us on Facebook.